This is an extension and refinement (I hope) of some recent ideas regarding cleric magic. It has some atmosphere that I like, but I worry that it is A) too complicated and B) overpowered. Opinions on both of those aspects would be appreciated. There are four categories of cleric magic, called petitions. All require calling upon holy power, and thus are subject to mysterious divine whims. The four categories are commands, prayers, rituals, and abjurations. The first three types of cleric powers map to the three game timescales: combat rounds, dungeon exploration turns, and days (the turn unit for wilderness exploration). A petition requires the given amount of time to attempt, at the end of which a petition check is made (see below). Thus, commands are the only petitions that can be used during combat since they only require a round. No petitions need to be prepared beforehand, with the exception of abjurations. The petition check uses 2d6 and works much like a reaction roll. Half level (round up) is added as a bonus. An unmodified 2 is always a failure and an unmodified 12 is always a success. An abjuration petition check of 2 ends the abjuration. Thus, if you roll a 2 for turn undead, your deity has deserted you. A vial of holy water may be used for a +1 bonus to the petition check (holy water is encumbering, may be used no more than once per check, and is consumed when used in this way). Petition checks for commands and abjurations are opposed (penalized) by enemy hit dice. Other petition checks have a difficulty numer (equivalent to the old spell level ranking) which is listed in the table of petitions below (in parentheses). Abjurations are defensive magics, and only one can be active at any given time. 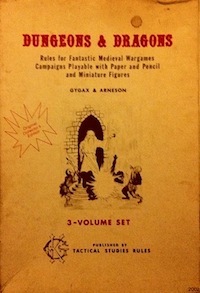 The player must decide which before the session starts. They function like rituals in that they require a day of preparation, but they then remain active during the entire following day. 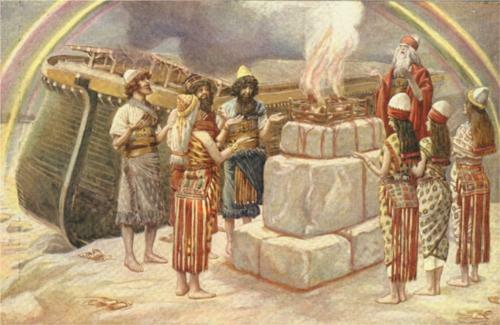 Petition checks are used when the abjuration is challenged rather than when the ritual is performed. So, for example, if a demon attempts to touch a cleric that has protection from evil active, then the player rolls a petition check (penalized by the demon’s HD) to see if the demon is able to overcome the holy protection. Abjurations also have their dangers: in some situations, they may function as beacons. The metaconcept of spell level has been discarded (though you can still see some of the spell levels show up as difficulty numbers), and the various petitions have been bound to character level directly. The levels that various powers are gained at is the same as in the 3 LBBs. I’m pretty sure this is not the best arrangement; the various powers should probably be more evenly distributed around the levels (that’s probably a task for a future post). It is particularly odd that the level 3 and 4 spells both become available at cleric level 6 in the original rules. It may seem like cleric levels 3 and 5 are “dead,” but this is actually not the case as the “half level” (competency) bonus is incremented at both of those levels. Some specific spell interpretations using this system. Cure spells may not be used more than once per character per encounter (and may cause aging). Continual light is a ward against shadows, functions as sunlight, penalizes or prevents hide in shadows (depending on situation) and moves with the person of the cleric. Purify food & water is not usable offensively against water weirds unless you can force them to sit still for a long time. These changes may grant the cleric more power. The petition check system introduces the chance of failure in any given situation and also consumes diegetic time (potentially exposing the PCs to random encounters). Despite those balancing factors, it seems like the cleric should formally become the “medium armor” adventurer (as she probably always should have been) so that heavy armor can become the purview of the fighter. A level 6 cleric prays for speak with plants. Spend 1 dungeon exploration turn in prayer, then roll 2d6 +3 -4, which simplifies to 2d6 -1, and consult the petition roll table. If the result is a failure (but not a 2 or less), the cleric can try again if another turn is spent. A 2 HD demon attempts to challenge the protection from evil abjuration of a fifth level cleric. Player rolls 2d6 +3 -2, which simplifies to 2d6 +1, and consults the petition roll table to see if the abjuration holds the demon at bay. Even if the demon overcomes the abjuration, as long as a 2 or less is not rolled, the abjuration endures and the demon will need to overcome it again for further attacks. The system is designed to almost guarantee success (just like how I handle thief skills) as long as enough time is spent, assuming 2 or less is not rolled. This entry was posted in Rules and tagged cleric, OD&D, Pahvelorn on March 25, 2013 by Necropraxis. This may be the best development yet of the reaction/turning 2D6 based cleric spells idea (see also the Blood of Prokopius and 9and30 Kingdoms blogs). I’m coming up on redefining my own clerics and this definitely gives me reason to think. I should probably link to a few of Talysman’s related posts, because they have been very influential regarding this design. This is a cool idea. Looking forward to seeing it playtested! Penalties from being spurned would probably reset every day/session/whatever. I believe this may be a good general modification for 2d6 casting for a few reasons, so I’ll probably do a separate post about it.